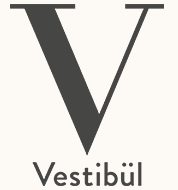 Vienna’s Burgtheater, known to the city’s inhabitants simply as the “Burg”, furnishes the splendid setting for the Vestibül restaurant. The theatre’s vestibule, from which the restaurant takes its name, consists of the imperial coach entrance and the adjacent marble hall. It is here that the grand history of the venerable building is united with extraordinary culinary achievements to create an unparalleled ambience. Experience food and drink as part of our culture – in the confines of the Vestibül or in the outdoor dining area on the Ringstrasse. Discover more about the building's history here.